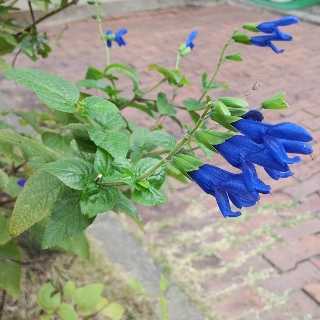 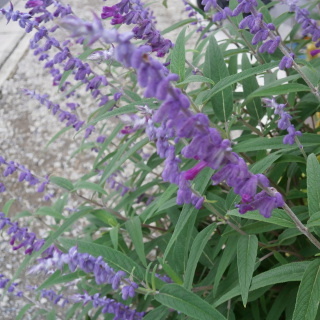 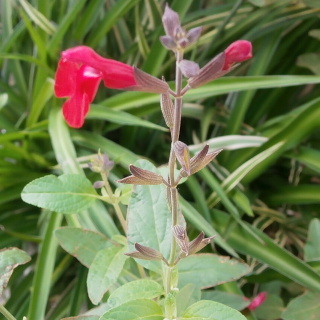 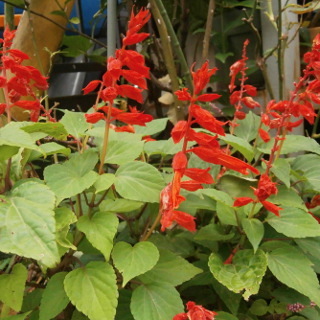 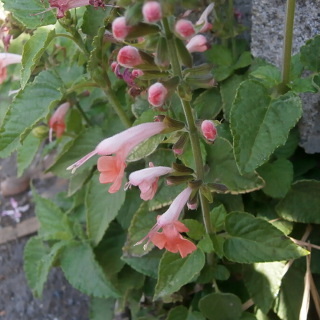 Hot Lips is a Salvia family. 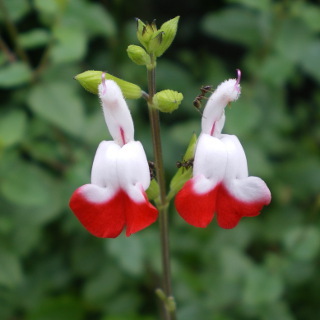 It blooms two tone white and red flower. 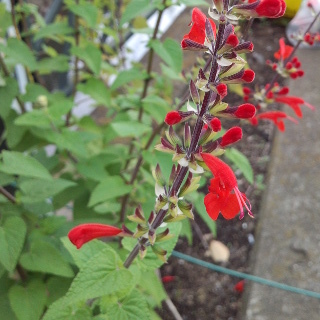 The color only red is Baby sage.